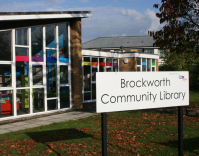 Brockworth Link | Library Services, Youth Services, Adult Education and More! Our library has something for everyone! Come and browse out vast selection of novels, reference materials and picture books. Here at Brockworth, we also provide a range of services focused on keeping young people active and involved in social events. 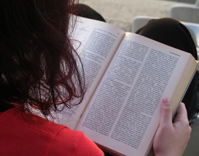 We also offer a wide variety of Adult Education courses throughout the week. Our Community Project provides such a great variety of services! Phone or call in to find out more. Welcome to the Brockworth Link website! Check out the services that we can offer as well as the latest news and events happening as part of the Brockworth Link. Since 2011, Brockworth Link (formerly known as Brockworth Community Project) has provided Youth Work in the village of Brockworth after Gloucestershire County Council made the decision they were no longer able to do so. This has included running a youth club in the community centre and employing youth workers. 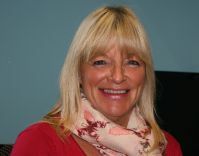 Over the six years, Brockworth Link has financed this provision from grants from a variety of organisations, one of which is Brockworth Parish Council, who allocated £10,000 toward the total running costs of £25,000 per year. However, in January 2017 the Parish Council informed Brockworth Link that our current contract to use the youth centre building was ending on the 31st March 2017. In addition, the Parish Council would no longer make any contribution to the Brockworth Link’s costs of running the youth activities in the next financial year. 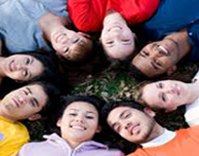 Our youth work has received excellent praise and comments over the years. We were particularly pleased by comments made by the Rt. Hon. Countess Bathurst, High Sheriff of Gloucestershire in November 2016, when she visited a working youth session. Clearly, our loss of this contract is very disappointing, but BCP believes that it can deliver an excellent youth service using other routes of finance. Therefore, Brockworth Link has decided to provide youth services under their own name and look elsewhere for funding. We want to let the young people of Brockworth know they can still find a safe and comfortable place to come in the evening, run by experienced, well qualified staff that they know and trust. The only difference will be the venue. We are running youth work sessions from the Library building and exploring other venues within Brockworth. Sessions are running on Mondays, Wednesdays and Fridays and commence from the 3rd April 2017. Young people should watch our Facebook page for further information – B-Epic Youth Club.